This will be a very interesting week on the stock market, not least the US mid-terms and the ongoing US/China trade saga, which will likely determine the short-term direction of the market. Apple (AAPL) reported last week and another stellar report was hoped for to calm technology weakness. Instead of a stellar report the market got weak Q1 guidance and the news that AAPL would drop detailed product reporting for their FY2019. 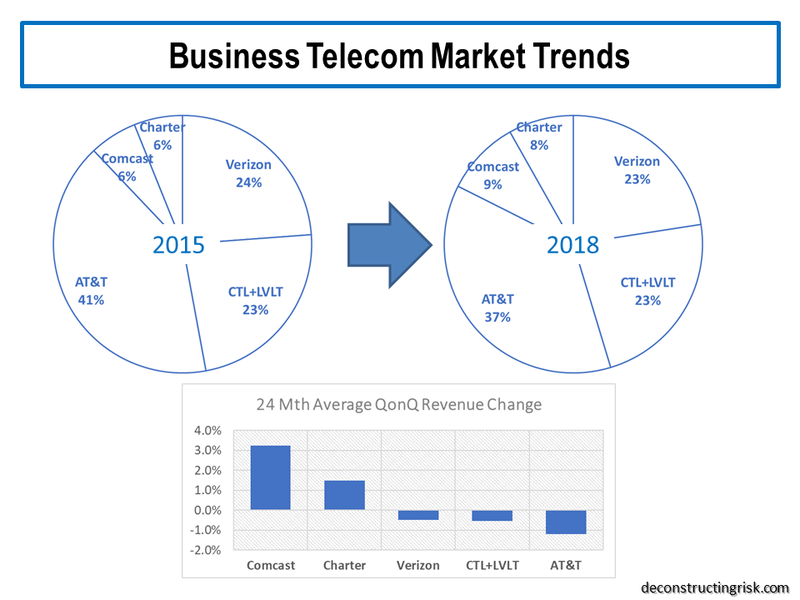 Given that there is a massive industry dedicated to examining iPhone trends, the lack of specific numbers being disclosed has caused consternation amongst commentators. It has been about a year since I last posted on AAPL (here) when it traded around $170. Of course, it has since traded up to a high of $230 before falling back to just above $200 currently. There is no doubt that the smartphone market is saturated with IDC estimating global smartphone shipments falling in Q3 by 6% to 355 million unit. 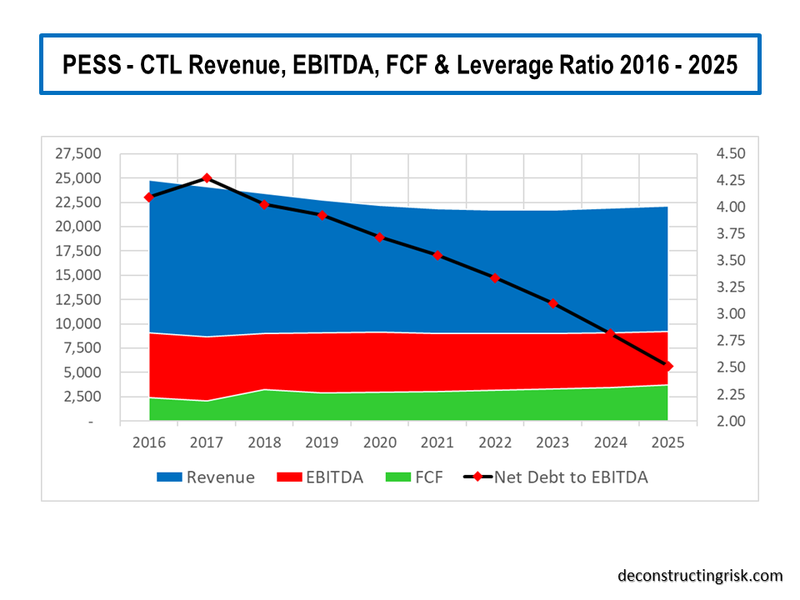 In this environment, it makes sense to me for AAPL to focus on higher value smartphones and to extracting increased fees from services on their installed base. 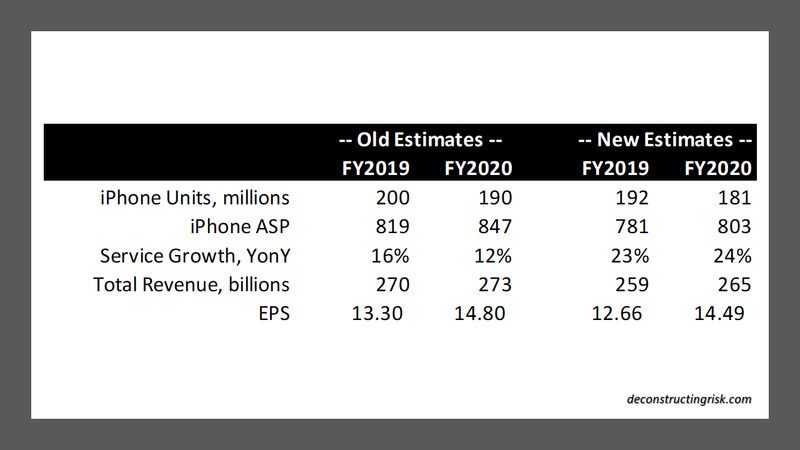 Extrapolating on the iPhone installed base analysis from my last post, I estimate that the iPhone installed base will peak around 650 units based upon iPhone unit sales fall to 200 million and 190 million in FY2019 and FY2020 respectively from 218/217 million in FY2018/2017. 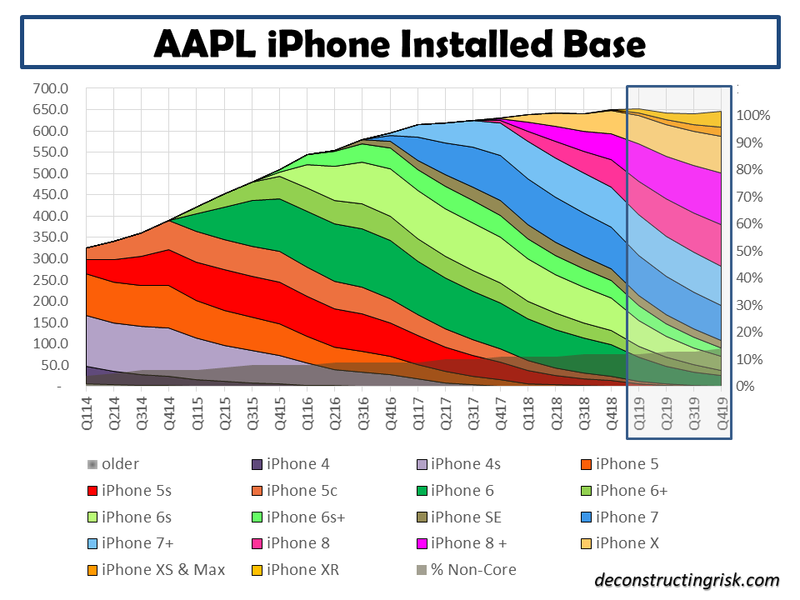 The active installed base, excluding non-core users, peaks around 570 million. My projections are shown below. I have also assumed that the ASP for FY2019 and FY2020 increases to $819 and $847 respectively from $759 in FY2018. I further assumed that service revenue increases as a percentage of total revenue to 18% for FY2020 from 14% in FY2018. 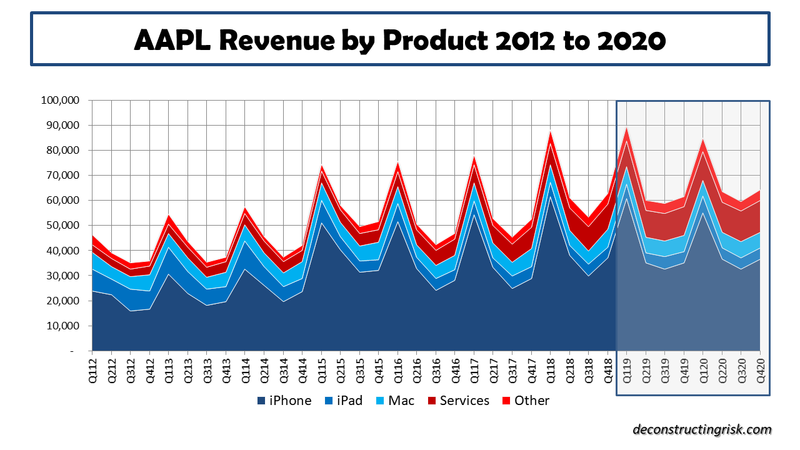 I suspect this may be too light given AAPL’s decision to move its reporting focus away from products to services. Although AAPL’s net cash pile is slowly dwindling (approx. $120 billion at end September from $170 billion at the end of December 2017), I think a more focused move by AAPL into the home and content to take on Netflix and Amazon will be a feature of the next few years (bring on the NFLX rumours, again!). 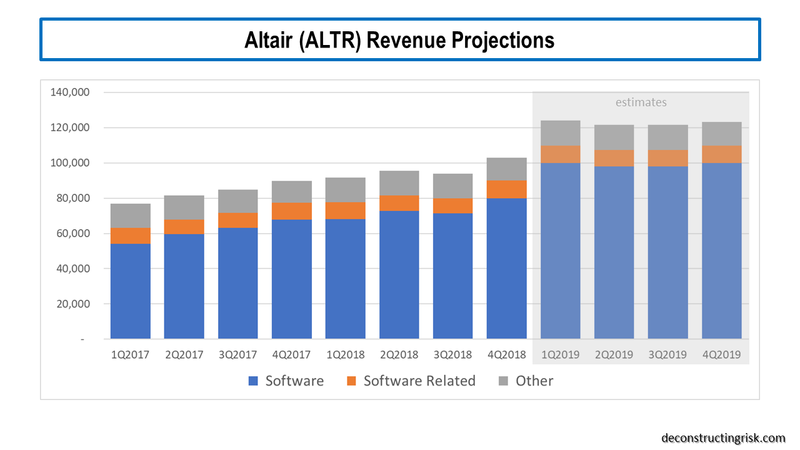 My resulting quarterly revenue estimates into FY2020 are shown below. 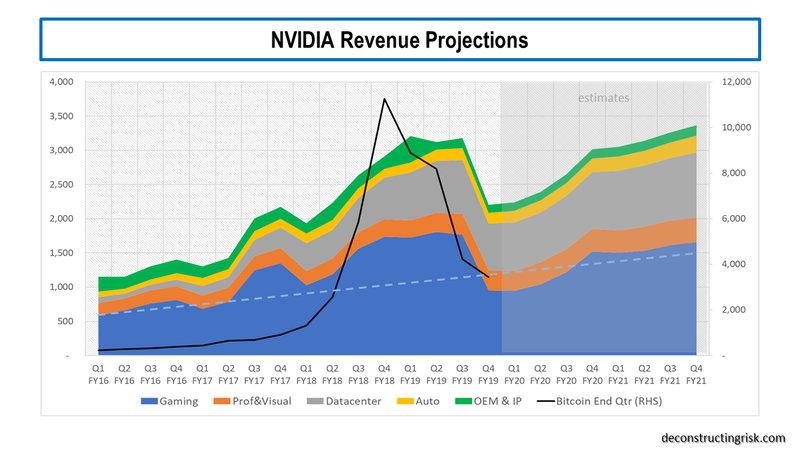 As you can see, these estimates do show overall revenue moderating with revenue for FY2019 and FY2020 at $270 billion and $273 billion respectively from $266 billion in FY2018. 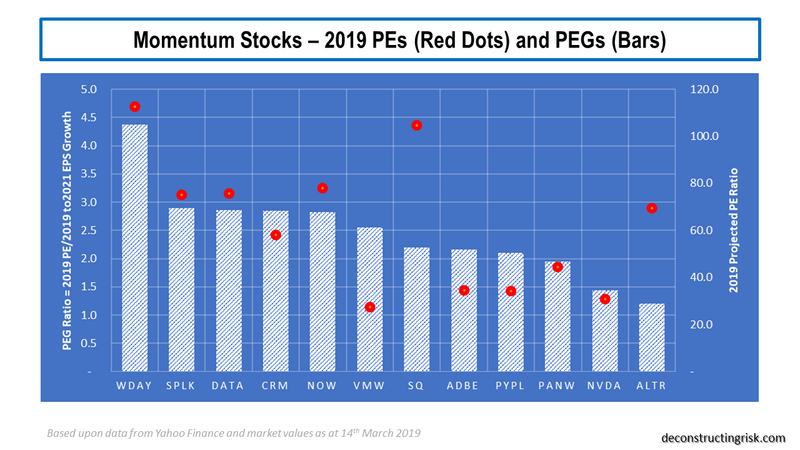 My diluted EPS estimates, assuming the same trend of share buy-backs, for FY2019 and FY2020 are $13.30 and $14.80, representing EPS growth of 12% and 11% respectively. These EPS estimates are consistent with current consensus. 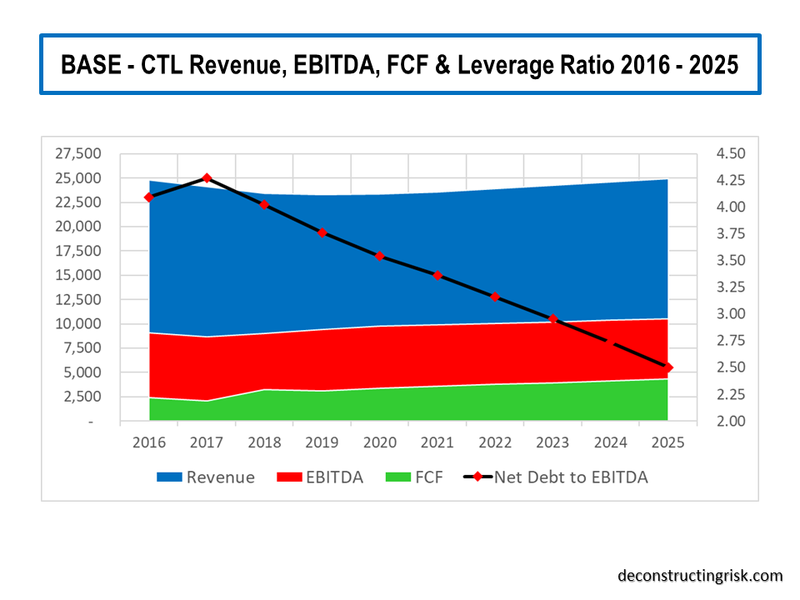 At a share price of $200, the forward PE would be 15 and 13.5 for FY2019 and FY2020 respectively. 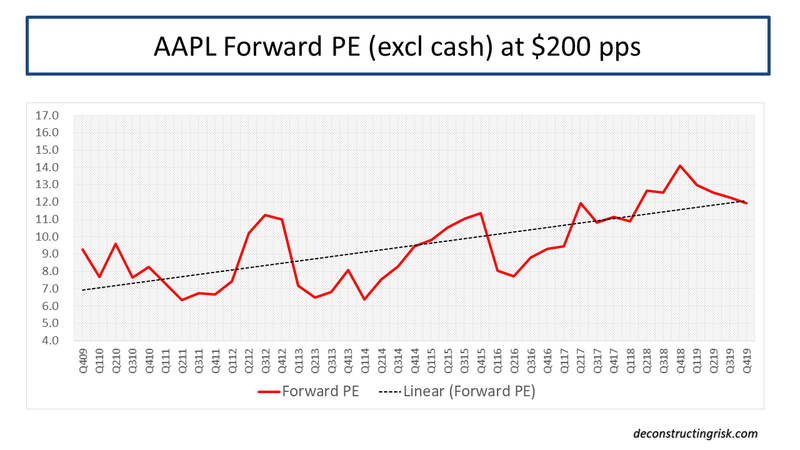 My usual forward PE excluding cash graph, at an AAPL stock price of $200, is below. 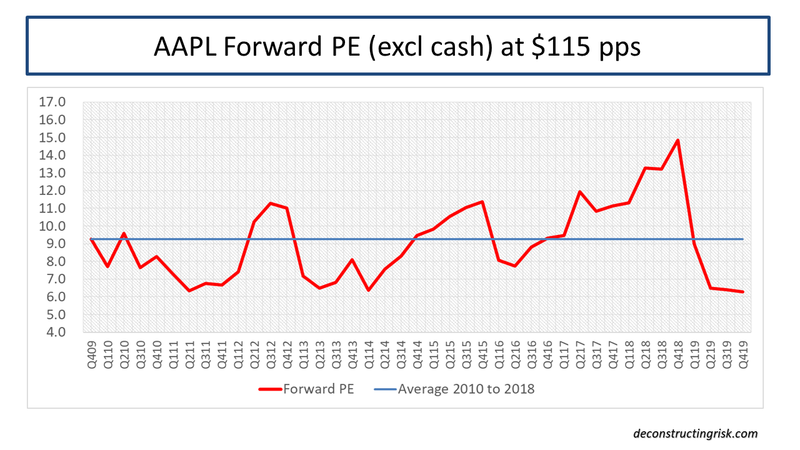 If AAPL were to return to its historical average multiple since 2009 of 9, then AAPL’s stock could fall back to $160 or below if the market gets really spooked about peak iPhone. 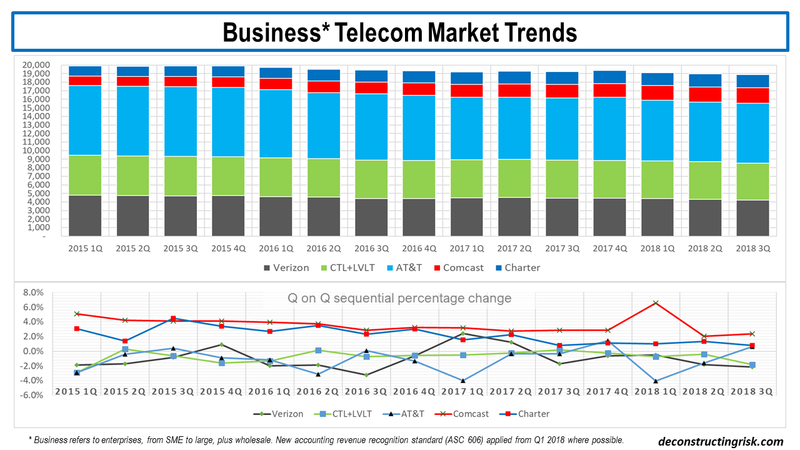 The question therefore is how the market is going to react to AAPL’s attempt to move the focus from its hardware results and more towards its service business from its massive and loyal installed base. Changing the market’s obsession from iPhone sales will be no easy task. AAPL is an emotive stock, not only because of its products but for its incredible historical value creation. It is the one stock that I have always regretted selling any of. I do not think now is the time to sell AAPL but I will wait for the stock price to settle, particularly in the current volatility, to consider buying more. A fall towards $170 would be too tempting to ignore for this wonderful firm. Mr Buffet and the firm’s own buy-back programme make such a fall unlikely in my view but one can only hope!